On April 27 and 28, Fermilab hosted the Neutrino – Latin America Workshop for visiting scientists. The workshop showcased Latin American collaboration with the laboratory throughout the years, and scientists discussed research opportunities both here at Fermilab and at institutions in Central and South America. “Our intention was to increase the awareness of the DUNE scientific and technical program and to highlight the many areas where Latin American scientists and engineers can make important contributions within DUNE and the broader Fermilab neutrino program, including the short-baseline neutrino experiments,” said Mark Thomson, a co-spokesperson for DUNE and lead organizer of the workshop. 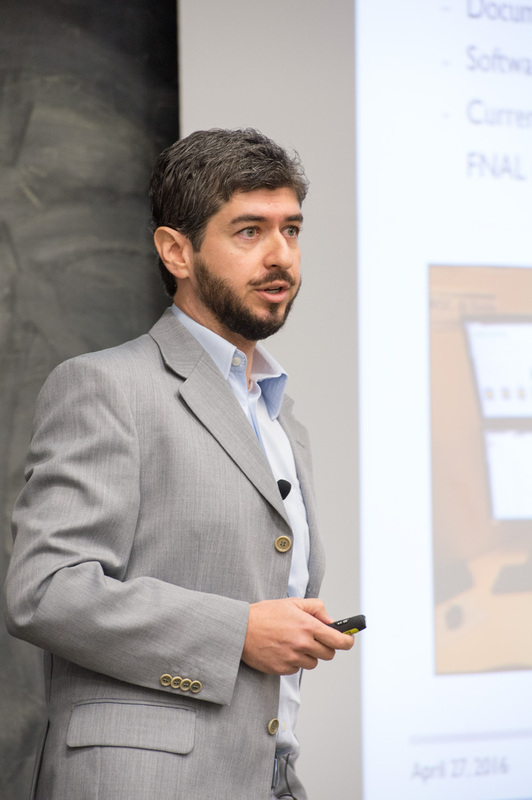 Latin America has a rich history in particle physics, and this workshop highlighted the projects that resulted from the longstanding relationship Fermilab has with these nations, he said. As early as the 1930s, physicists at institutions in Argentina, Brazil and Mexico were studying cosmic rays and theoretical particle physics. Several of these nations expanded their focus in particle physics, but at the time, programs were few, and funding was minimal. In the early 1980s, Leon Lederman, Fermilab’s second director, realized the potential benefits of a relationship between Fermilab and our neighbors to the south after attending several symposia hosted in Latin America. By 1984, Lederman sponsored four Brazilian physicists — the first Latin American scientists to come to Fermilab — to participate on a fixed-target experiment. Shortly after this group joined the lab, they began to reach out to their students and colleagues at home to train them for future projects. More and more Latin American students and scientists from multiple countries gained opportunities to learn and work at Fermilab, and they eventually became a valuable group to the laboratory’s growing neutrino program. The first day of the April workshop included presentations and discussions about past neutrino experiments, right up to current projects. Latin America has collaborated with Fermilab on several projects over the years, including MINOS and MINOS+, MiniBooNE, LArIAT and NOvA. According to Julian Felix, a professor of physics at the University of Guanajuato in Mexico, Latin Americans made up nearly a quarter of the MINERvA collaboration. The proposed CAPTAIN MINERvA experiment, which would be an expansion of its predecessor with a focus in neutrino-argon interaction studies, would continue the tradition of collaboration with Latin American institutions. Today, the in-progress Short-Baseline Neutrino program, with three supporting experiments hunting for a fourth type of neutrino, currently has 55 collaborating institutions from eight countries. Three institutions are from Brazil and one is from Puerto Rico. Workshop participants in the SBN program took the opportunity to invite their Latin American colleagues to join SBN. Several workshop participants said that, while experience abroad is valuable, it’s just as important that highly trained professionals who studied at Latin American universities and institutions make their skills and talents available in their home nations. Rameika said Fermilab is a good training ground for Latin American students, who participate in a particle physics experiment before they head back to their nations to inspire others to become scientists. 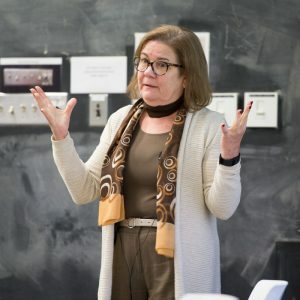 “Fermilab could be a part of this loop in which we bring students here, offer them profound experience in their field and then send them back to build stronger programs back home,” she said. At the workshop, physicists on new projects in Latin America informed and invited Fermilab scientists to participate. ANDES, for example, is an underground laboratory located on the borders between Argentina, Brazil and Chile. It will be one of the first multidisciplinary underground facilities in the Southern Hemisphere. And, CONNIE a neutrino-nucleus interaction experiment led by Fermilab scientist Juan Estrada and located in a nuclear power plant near Rio de Janeiro, Brazil, will produce data to help answer questions about the Standard Model and even test safety applications in nuclear facilities. On the second day of the workshop, the spotlight was on future opportunities and upcoming experiments. Fermilab’s future flagship experiment DUNE is among the world’s largest neutrino experiments, currently with 850 collaborators from 149 institutions in 29 countries. Presenters discussed opportunities in software, scientific computing, theory and accelerator engineering for DUNE. The research scope includes supernova neutrinos, neutrino oscillation, proton decay and the universe’s matter-antimatter imbalance. Several Latin American institutions have developed simulation technologies capable of handling the amount of data DUNE would produce. This is one of the many key areas in which Latin American collaboration is vital to the lab. CERN’s ProtoDUNE, the large-scale DUNE prototypes, also has opportunities for Latin American scientists and engineers in Switzerland. 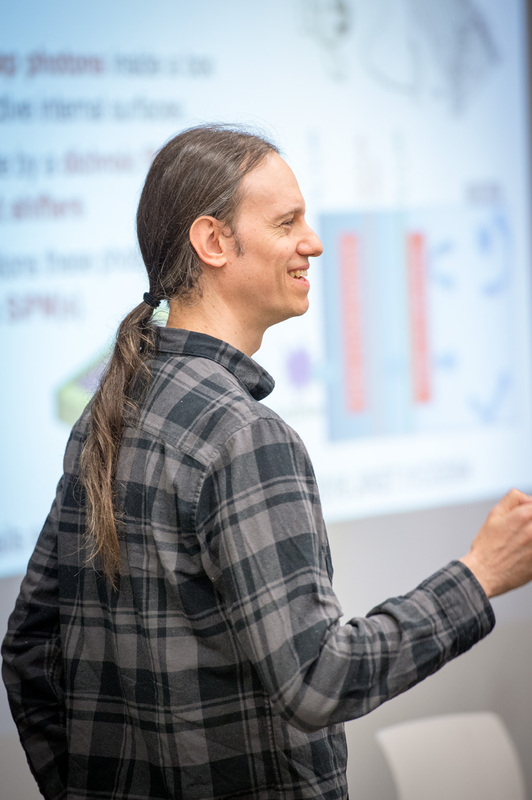 CERN enjoys strong Latin American participation, with approximately 300 physicists from 12 nations, according to Gustavo Otero y Garzon, a assistant professor at the University of Buenos Aires in Argentina and a physicist on CERN’s ATLAS experiment. In 2015, Fermilab had a total of 162 visiting Latin American scientists and students from eight countries contributing to several neutrino experiments.